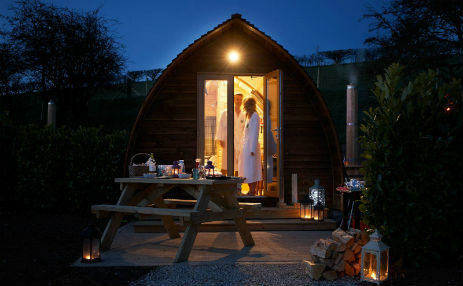 Escape into the world of Humble Bee Farm with glamping, camping and self catering cottages close to the sandy beaches of the Yorkshire coast. Nestled in the Yorkshire Wolds a very peaceful, hidden valley, we are surrounded by lush pastures and wheat fields that whisper in the breeze in the summer. 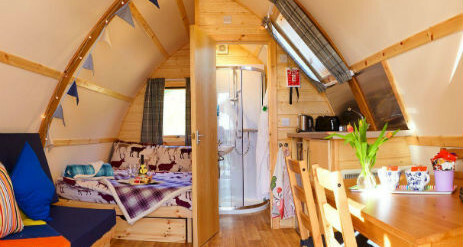 Open all year round our glamping accommodation includes deluxe Wigwams® with wood-fired Hot Tubs, Big Chief Wigwams®, Nomadic Yurts Bell Tents and a tranquil campsite with tent pitches. Located just few miles from the Yorkshire Coast we are 8 miles Scarborough, 5 miles from Filey, 15 miles from Bridlington, 25 miles from Whitby and the North York Moors National Park. We have a Nature Events calendar each year from February to November. Join Farmer Percy and the farmyard gang as they bustle about in the barns and the hen house – you can even collect an egg for breakfast! Wander along our scenic farm walks (dogs are welcome in most of our accommodation) and absorb the peaceful atmosphere of the Yorkshire countryside. We also have two shower and toilet blocks and a small shop and reception and play area onsite. You can also order extras in advance to enhance your stay! 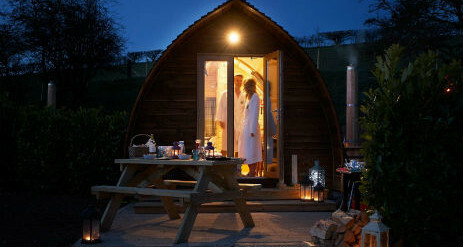 The wood-fired hot tub is covered by the tariff, however the fuel is not included. You can only use Humble Bee’s specially treated timber for your hot tub, which must be pre-ordered prior to arrival. 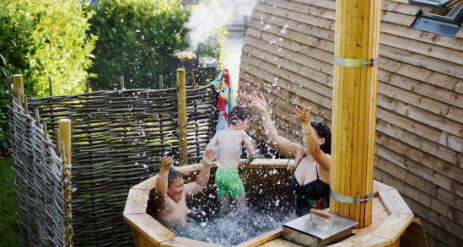 Please ensure you are aware of the wood fired hot tub procedures so you can relax and enjoy your deluxe experience! Sleeping bags or duvet with cover, flat bottom sheet, pillows & pillow cases, towels & toiletries, outdoor picnic chairs, charcoal, torches, matches, wellies, warm clothing, outdoor coats, umbrella, sun cream, swimwear for the hot tub, flip flops / easy footwear to get from the wigwam to hot tub, Dressing gown/cover up to get from wigwam to hot tub. 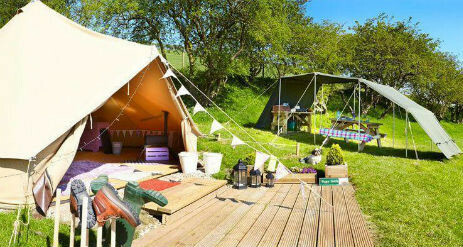 Outdoor cooking makes food taste so much better, so each Yurt also has an adjacent canopied outdoor kitchen area including a picnic bench, 1 ring gas burner hob, Firebowls (Timber provided by Humble Bee Farm at a nightly tariff)and an outdoor charcoal bbq. You can purchase charcoal from our reception during office hours. 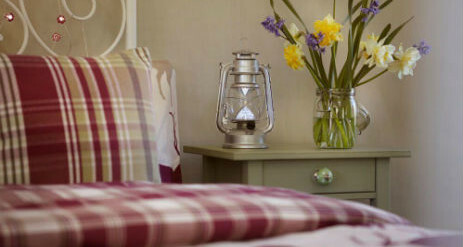 All bed linen, cutlery, crockery, cooking utensils, pans. 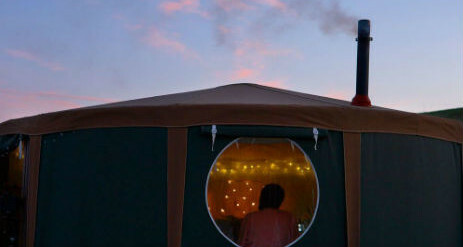 However, why not make it easier by using our Yurt Extras service (prices charged in addition to Yurt tariff). Farm and nature walks and duck pond!